The Impact stage consolidates on the earlier permissions to proceed and considers the investments (resources and financial) required to progress the idea/opportunity to commercial implementation. 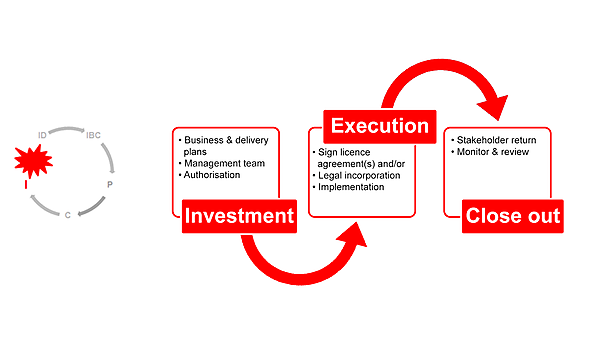 A bespoke commercialisation team will be identified with authority to develop and execute the business/delivery plans. The institutional investment in resources will be examined and specific business/delivery plans developed to also ascertain pre-incorporation and post spin-out financial investment needs. Raising financial investments will also be undertaken in accordance with the approved plans. The IP Commercialisation team will be accountable for the implementation of the plans. Realisation of the return on investment, with periodic monitoring and reviews.